The holiday season is officially here! Many of us are busy shopping, and getting our homes prepared for entertaining. It's a hectic time of year, that's for sure. It's also that dreaded time of year again-- cold and flu season. It seems like your child can go from being perfectly healthy and energetic, to feverish and sniffling in a matter of minutes. I have seen this happen way too often over the years, and have learned to do all I can to prepare for those moments. 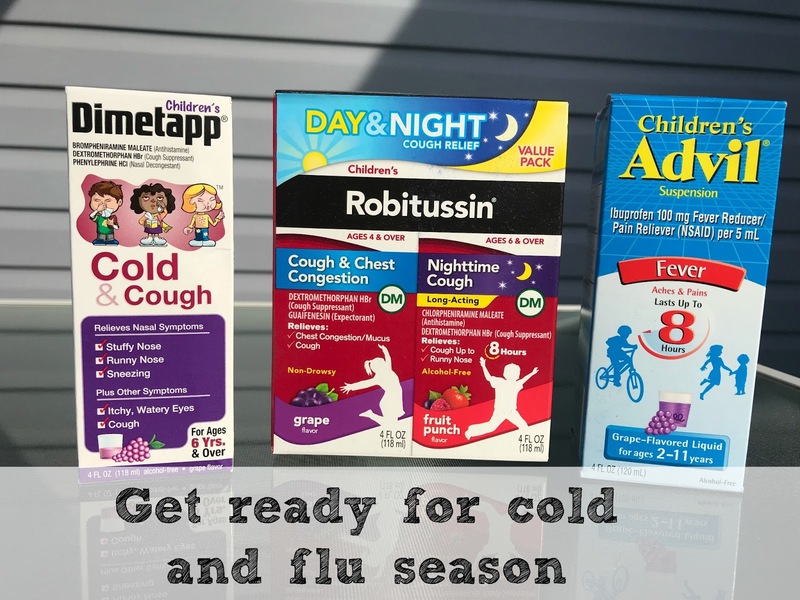 A variety of children's *medications including: Children's Advil, Children’s Robitussin DM Day/Night Pack, and Children's Dimetapp. *Remember to follow instructions on packaging for correct dosage. Children's Advil Suspension does the trick when this little guy gets a fever, or feels a bit achy. It's good for kids as young as 2 and up to 11. Children’s Advil comes in several great-tasting flavors, including: Sugar-free Dye-free Berry, Bubble Gum, Grape, Blue Raspberry, Fruit and Dye-Free White Grape flavors. It's virtually impossible to keep our kids away from germs, especially during the holiday season, but they can get some relief with Pfizer Pediatric medications. You can visit the Sick just got real™ site for cold and flu relief tips, as well as product information and money-saving coupons. You can even use their helpful "Sick Sense Relief Finder" to search your child's age, and specific symptoms to find out which medication they need. This giveaway is open to U.S. Residents only and ends on November 302017. Must follow rules in Rafflecopter. One winner will be chosen randomly. Mom Files is not responsible for any lost or stolen prizes. Good luck! Tissue, medicine, chicken noodle soup and a cozy blanket. I need to have cough medicine and a DVD player for when my daughter gets a cold. Tieesues with aloe, cough medicine and sanitizer. Hand sanitizer, tissue, soups, fluids, and medicine. Hand Sanitizer, Tissue with aloe, vicks, cold/flu syrup. And a few movies! A must have for my grandson's cold and flu survival kit is fever medication, tissues, and a humidifier in his bedroom. Medication, tissues, cold packs, soup and water are a must! I have to have a humidifier, tissues, cough medicine and tylenol. Our must-haves are definitely tissue with lotion and a warm blanket. Sanitizer, vicks and I always keep a small tube of vasoline near to dab on his nose so it doesnt get sore from blowing his nose. Kleenex, chicken soup and meds are must haves to us. Tissue, chicken soup, Tylenol, cough medicine and cough drops. Definitely lots of tissues and cough drops. We have to have his favorite blanket, comfort food and medicine. I must have childrens Advil for cold season. Cold medicine, kleenex, and water. Soft tissues are a must! Tissues and cough drops are must-haves. My children are all moved out of the house. But I have a grand child coming soon. Our must haves are tissues, saline nasal spray and medicine. Medication, tissues, chicken soup and water are a must! Oh I have to say tissues and a humidifier! Advil, tissues, saline mist and a comfy pillow are all must haves. I must have tissues and vicks for my little one. She hates a runny nose. Tissues, cold meds, warm blanket, and netflex. 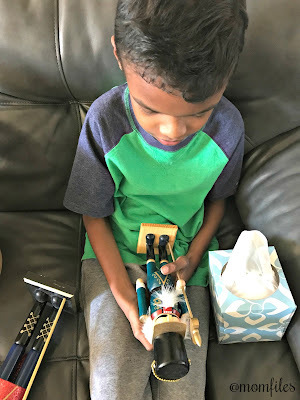 Vapor rub, and a vaporizer really help keep my kids more comfortable. Tissues and a cozy spot with lots of blankets and fluffy pillows! Children's Advil, thermometer, DVDs and warm blanket. Cough drops are a definite must have item. A must have is tissues and water bottles to stay hydrated. Tissues, advil, soft blankets, water. Tissue & Hand Sanitizer is a definite must-have! Along with cough drops & lots of water or Ginger Ale & Flat Sprite. Children's Advis is a must for our house. Fuzzy socks and warm blankets! Hand sanitizer is a must! Tissues, cough drops, vicks, mucinex, and saline spray are all in my kit! Besides Dimetapp, must have is chicken soup, warm blanket, tissues, and netflix.